Live Nation Regional President Geoff Gordon, left and Philadelphia Phillies Executive Vice President David Buck hold the key to Citizens Bank Park that was presented to Billy Joel during the announcement, Thursday, Jan. 3, 2019. Billy Joel will perform in concert at Citizens Bank Park for the sixth consecutive years this spring, the Phillies and Live Nation announced on Thursday. Joel will return to the ballpark on Friday, May 24, for his sixth consecutive year, which is a string longer than any other musical act in the stadium's 15-year history. He also has performed more concerts at Citizens Bank Park than any other act. 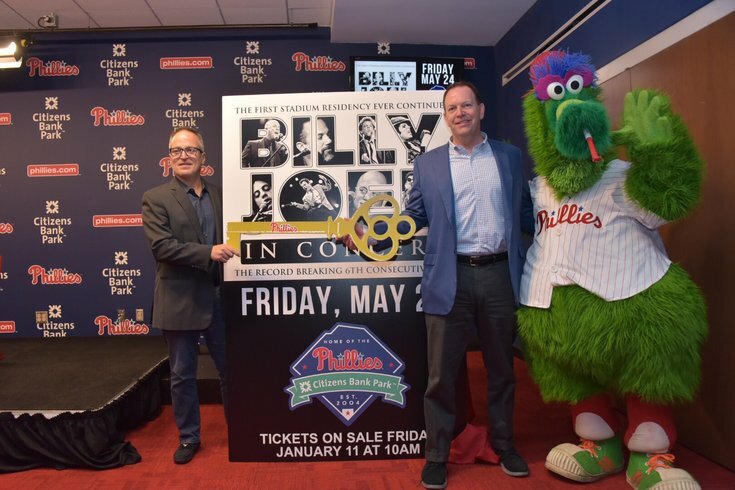 Joel's streak of consecutive performances was recognized by the Phillies and Live Nation, who presented the singer/songwriter a key to the park. The Phillies also are establishing a residency in Joel's name there, too. As part of the residency, the Phillies will have a special kiosk set up to offer tour merch during all home games in May. And this performance is a bit more special than the others because Joel turns 70 in early May, right before the concert. 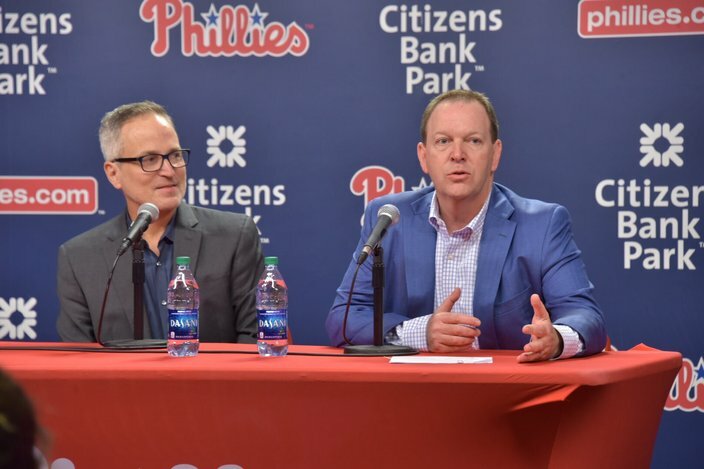 Live Nation Regional President Geoff Gordon, left, and Philadelphia Phillies Executive Vice President David Buck announced Thursday that Billy Joel will perform again this year at Citizens Bank Park for the sixth-consecutive year. Tickets go on sale on Friday, Jan. 11 at 10 a.m. For more information on specific pre-sale deals for American Express cardholders and Ticket Master's Verified Fans, go here. Some pre-sales begin on Jan. 3.